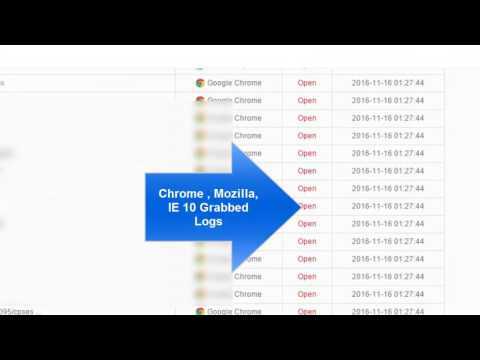 how to hack joomla(cms) website.. full tut..!!!! THIS TUTORIAL IS FOR EDUCATION PURPOSE ONLY!!! YOU MAY NOT READ THIS TUTORIAL IF YOU DON'T UNDERSTAND AND AGREE TO THIS DISCLAIMER. ME AS AUTHOR OF THIS TUTORIAL NOT BE HELD RESPONSIBLE FOR THE MISUSE OF THE INFORMATION CONTAINED WITHIN THIS TUTORIAL. IF YOU ABUSE THIS TUTORIAL FOR ILLEGAL PURPOSES I WILL NOT BE HELD RESPONSIBLE FOR ANY ACTION THAT MAY BE TAKEN AGAINST YOU AS A RESULT OF YOUR MISUSE. Joomla! as Stable-Full Package is probably unhackable and If someone tells that HACKED Joomla, talking rubbish!!! But people still hacked sites that use Joomla as Content Management System?!? Joomla is made of components and modules and there are some developers apart from official team that offer their solutions to improve Joomla. That components and modules mede by that other developers are weak spots! We hacked site that use Joomla! v1.5.6 and after that v1.5.9 through IDoBlog v1.1, but I can't tell that I hacked Joomla! The easiest way to hack is to reset Admin password! Forgot your Password? page will load. In E-mail Address: enter admin email (in our case it is:info@site.com) and press Submit. 5482dd177624761a290224270fa55f1d is 32 char verification token, enter it and pres Submit. In Template HTML Editor insert your defaced code, click Apply, Save and you are done!!! Free location tracking codes will trace location of your chat buddy with the help of IP lookup. Country, Near city, Local time, etc.. of the other buddy. Get Your chat Tracking codes. Using which you can find Location details.. of your chat friends. Sign Up takes less than 20 Seconds to complete. Log In to your member page, where you find, your own personalized "Location tracking codes" ready to use in any chat rooms. Very first step is Sign Up. and Log in your member area. Ask your chat friend to click and see the picture. After few seconds click Track Result link and find chat friend's location details. nd paste ur ip ther nd search u will find location too..:D:D:D:D..!!! Hacking Routers - FREE ADSL..!!! Most of the people never change their default passwords no matter what it is, they don't change them because they think that they are safe. In this tutorial I'll show you one of the ways how to use this mistake and get free ADSL/Wireless (If wireless router is used) accounts and enjoy in unlimited downloads. You will also need to have version 8 OR older of Internet Explorer. and check your IP address, let's say that your current (ADSL providers usually give you dynamic IP's) IP is 67.140.112.83, you will change the last two groups of numbers. Now just select one of the IP addresses and open it with INTERNET EXPLORER!!! Now for most of the routers (atleast the ones I had exp. with) you can find username in plain text and password covered with *'s when setting up a new connection, so just look for something that says connection wizard or connection setup, and follow the steps till you find the username and password as mentioned. So why did we use Internet Explorer for this?? Because XPass works only with IE, we couldn't figure the pass out if we used Firefox or Chrome or Opera. Continue doing this with different IP's that Angry IP Scanner detects till you have enough accounts to fulfill your download needs. how to use netstumbler for wifi hacking nd security.!!! 5. As you can see NetStumbler provides a lot more than just the name (SSID) of the wireless network. It provides the MAC address, Channel number,encryption type, and a bunch more. All of these come in use when we decides that we wants to get in the secured network by cracking the encryption. wifi scanning ND hacking tools.!! Guys you must know everything that's why i am explaining each and everything in this tutorials related to wireless networks or wifi hacking. Its a complete wireless network hacking tutorial with allhacking tools and how to use them. Using these you will came to know how to hack wifi or wireless networks and note guys this tutorial is 110% working like other one's. Prismstumbler is software which finds 802.11 (WLAN) networks. It comes with an easy to use GTK2 frontend and is small enough to fit on a small portable system. 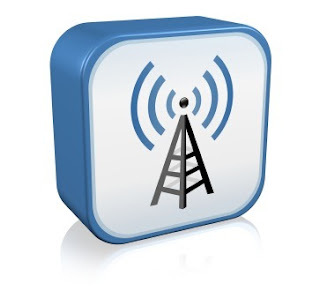 It is designed to be a flexible tool to find as much information about wireless LANinstallations as possible. Because of its client-server architecture the scanner engine may be used for different frontends. Wavemon is a ncurses based application forwireless hardware. It`s running currently under Linux with cards witch supported by Jean Tourrilhes wireless extensions. You will find them in the Kernel 2.4. I used this tool a few times, it`s small, works, opensource and good.